In a previous post, I wrote about how I hate war as only a warrior can. Something I wrote in there, however, was overshadowed by the point I was trying to make. The part that was overshadowed: while I hate war, I loved combat. Like the paradox of the veteran story and the violence of action paradox, this is another unresolved imbalance. 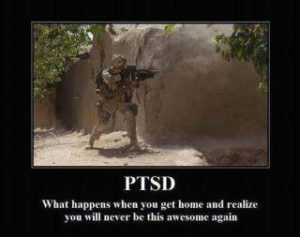 Many veterans feel this way: they’d go back if they could. This is a topic that has come up recently in several discussions I’ve had. How can we hate war, hate killing, hate the psychological impact of it…but at the same time love it, long for it, crave it? I was having a conversation with a colleague a couple of weeks ago, and they asked me a question that I hadn’t considered before. I thought about it, briefly. I’d been to London. North Africa. I’ve been on beaches and mountaintops. As I was rolling each of these foreign and exotic places around in my mind, I realized what the truth was: I’d choose to be in the Kunar River Valley, Afghanistan. In a heartbeat, without hesitation. It was there that the most significant times of my life were spent. Outside of the moments that surround my family, such as my wedding and the births of my children, and the spiritual moments relating to my Christian faith, the most important moments of my life occurred on the roads winding through those mountains. As Uncle George said in the quote at the beginning of this article, sometimes things in life after the military pale in comparison to our experiences in combat. The rush, the adrenaline, the camaraderie, the skillful execution of abilities developed for just this moment. 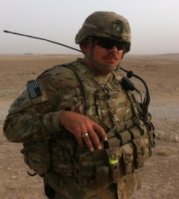 Veterans talk about being addicted to combat. Being a mental health professional, I feel as though it’s my duty to specify that the only classified clinical mental health disorders that qualify as addictions focus on substances…alcohol, amphetamines, opiates, etc…with only the exception of gambling disorder. Other “behavioral addictions,” such as compulsive sexual behavior or compulsive exercising, are not considered “addictions” in the clinical sense. But oh, yes, how we love it so. The challenge with any obsession, or compulsion, or whatever you want to call it, is that it overshadows our current lives, and we tend to long for the glory days of years gone by. We forget how hard those glory days really were, and instead pine for the bygone days when we were younger, stronger, slimmer and yes, had more hair. We become stuck in the fact that who we are is a lesser version of who we were, and we tend to walk through life backwards. Is it a form of the high school football start who never really made it big in college, and he goes back to the high school kegger in his too-small letterman jacket? Don’t get me wrong. It’s great to reminisce. To reflect on where we’ve come from, in order to understand more about where we are and give direction to where we’re going. But to long for the good old days? To chase the rush and play the same song in order to capture lightening in the bottle just one more time? We are farther along on our life path than we were then. We cannot step into the same river twice. I tell veterans all the time: we are now and forever will be veterans. I can’t go back and be the “old me,” the 17 year old kid that knew nothing and had less going for him. I can’t even go back and be the 25 year old me, the crazy fool full of piss and vinegar, jumping out of every aircraft he could get onto. Similarly, we can’t be something we’re not; although I no longer wear a uniform, I’m not a civilian. Because I no longer wear a uniform, I’m no longer a soldier. I’m a strange mix of the two, a thing called “veteran,” which is hard for both service members and civilians to relate to. And even more, a combat veteran, one which others who have served in the military but who have not been to combat sometimes find it hard to understand. So a veteran wants to retreat into their past, but can’t. So some do the next best thing: retreat into their memory of the past, which is a hazy and imperfect thing. They long for the days, the horrible glorious days, where bullets flew and the smell of copper and carbon filled the air. They crave those days as much as anyone craves anything; for some, no lover, no substance, no situation can ever measure up to the dizzying heights of combat. But it doesn’t have to be that way. Our lives did not peak on a mountaintop in Afghanistan, or a jungle in Vietnam. They do if we think they do; if we see that as the ultimate achievement in our lives, and everything else is downhill and meaningless, then that’s what we will believe. That’s not the case. If you find yourself stuck here, then reach out. Find a counselor or a therapist that understands what you’re going through, and sit down and talk. You might find that the best days of your life are truly in front of you, not behind. 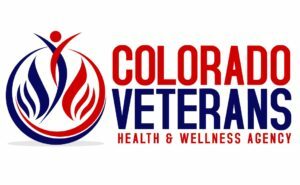 The Hea d Space and Timing Blog is supported by the Colorado Veterans Health and Wellness Agency, a 501(c)3 Nonprofit in Colorado Springs, Colorado. 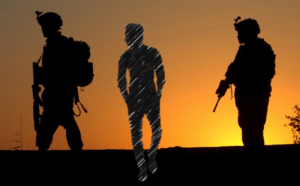 The goal of the CVHWA is to provide military culturally competent mental health counseling to veterans and their spouses, regardless of characterization of discharge, time of service, or era of service. Our vision is to assist veterans to identify and remove barriers to their mental, physical, emotional, and behavioral wellness. For questions or inquiries, contact us!